How did Christmas become today’s bulging stocking of goodies? In this delightful sleigh-ride through Christmas history, Kerensa answers the festive questions you never thought to ask. From Roman revelry to singing Bing, via Santa, Scrooge and a snoozing saviour, this timeless tale is perfect trivia fodder for the Christmas dinner-table. 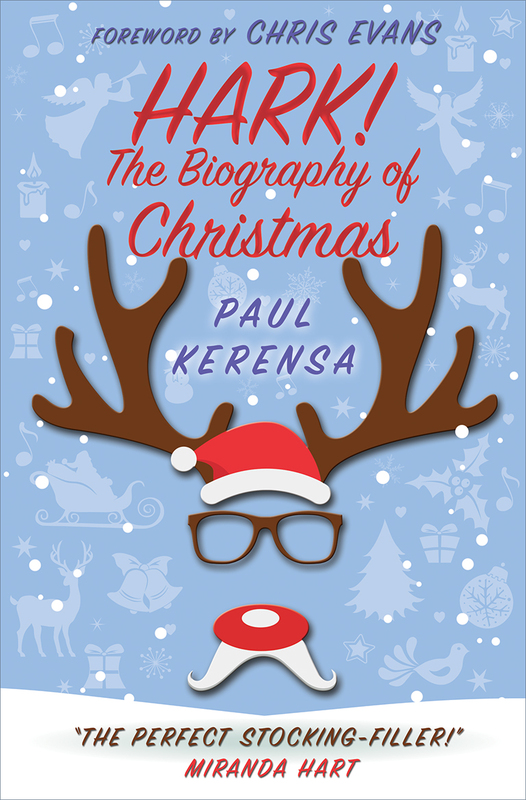 Paul Kerensa is a British Comedy Award-winning writer and comedian. He’s written several books, including ‘So a Comedian Walks Into a Church’ and is a regular on BBC Radio 2’s ‘Pause for Thought’. Paul’s Christmas generally includes port, Shakin’ Stevens and Blackadder’s Christmas Carol. Excellent and thoroughly entertaining book, written by someone with a true passion for the topic! This is a wonderful little book tracing the rather varied and wonderful history of Christmas. Paul is one of the few people who loves Christmas quite as much as me! I’ve been in the ‘Christmas information’ world for over 18 years and run one of the biggest Christmas sites on the web (www.whychristmas.com). It’s been my pleasure to read this book and also to talk about it with Paul. Double Santa Thumbs Up! A fantastic read, which not only informs, but also entertains. Everything you ever wanted to know about Christmas and plenty of things that you didn’t necessarily want to know but are now glad that you do. A lovely book – educational, factual and very funny in parts. Written by someone who can use words well. Enjoyed this book, an interesting and humorous read and perfect for this time of year. Great Christmas present too. Delightful book – just far enough off the wall to be a great gift idea, full of festive trivia, guaranteed to delay Christmas lunch by a few minutes while everyone chortles and giggles. A book for all seasons not just for Christmas. an absolute delight not only for Christmas. Full of good tidings and comfort and joy! A good reliable book on Christmas history – and on top of that, it’s bags of fun and immensely entertaining. A fun, informative, festive read. Would make a great birthday present for a November birthday person, to get them in the mood! I was given the book as a Christmas present and my first thought was “but Christmas is over!” However, I started reading it and it was so enjoyable a read that I quickly completed it.